Cortland vs. Ithaca fighting for the ball. 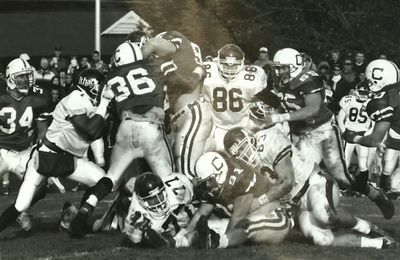 Cortaca Jug game. Cortland defeated Ithaca 22-20.